If you spend much time on the Internet, you probably already know who Cass Sunstein is: he's a former professor of law and political science at the University of Chicago, where, during the 1990s, he met and became close friends with a fellow member of the law-school faculty named Barack Obama. Currently, Sunstein is a law professor at Harvard, but he's taking a leave of absence from that position so he can "serve" as Administrator of the White House Office of Information and Regulatory Affairs in the Obama administration. The White House Office of Information and Regulatory Affairs, according to Wikipedia, "develops and oversees the implementation of government-wide policies in the areas of information technology, information policy, privacy, and statistical policy." If you spend much time on the Internet, you probably also know why Sunstein has been receiving a lot of attention from the blogosphere lately: it's because of a research paper he coauthored with Harvard law professor Adrian Vermeule for publication in January 2008. The paper is on "Conspiracy Theories." A "conspiracy theory," according to Sunstein and Vermeule, is "an effort to explain some event or practice by reference to the machinations of powerful people, who have also managed to conceal their role." the view that the Central Intelligence Agency was responsible for the assassination of President John F. Kennedy; that doctors deliberately manufactured the AIDS virus; that the 1996 crash of TWA flight 800 was caused by a U.S. military missile; that the theory of global warming is a deliberate fraud; that the Trilateral Commission is responsible for important movements of the international economy; that Martin Luther King, Jr., was killed by federal agents; that the plane crash that killed Democrat Paul Wellstone was engineered by Republican politicians; that the moon landing was staged and never actually occurred. According to Sunstein and Vermeule, some conspiracy theories are harmless. They write, for example, that we should "consider the false conspiracy theory, held by many of the younger members of our society, that a secret group of elves, working in a remote location under the leadership of the mysterious 'Santa Claus,' make and distribute presents on Christmas Eve." They suggest that we should "consider too the Easter Bunny and the Tooth Fairy." 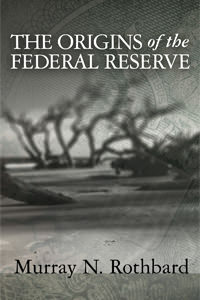 The thing is, they point out, that "if children believe in Santa Claus or the Easter Bunny, there is no problem for government to solve; and the belief that the government covered up the landing of space aliens in Roswell does not seem to be causing discernible harm [either], with the possible exception of bad television shows." But not all conspiracy theories are harmless, say Sunstein and Vermeule. Some conspiracy theories do great harm. They create a "problem for government to solve." For example, a conspiracy theory that portrayed the federal government of the United States as a "morally repellent organization" could have such "pernicious effects" as "inducing unjustifiably widespread public skepticism about the government's assertions, or … dampening public mobilization and participation in government-led efforts, or both." According to Sunstein and Vermeule, there are conspiracy theories that not only "undermine democratic debate; in extreme cases, they create or fuel violence." In brief, "some conspiracy theories create serious risks.… If government can dispel such theories, it should do so." What specifically do Sunstein and Vermeule believe government should do? It should begin, they say, by recognizing that "those who hold conspiracy theories do so because of what they read and hear." And they read and hear talk about conspiracy theories because there are people out there promoting such theories. Sunstein and Vermeule write that many conspiracy theories "are initiated and spread, quite intentionally, by conspiracy entrepreneurs who profit directly or indirectly from propagating their theories." The specific motives of these "conspiracy entrepreneurs" vary somewhat, according to Sunstein and Vermeule. "Some conspiracy entrepreneurs are entirely sincere," they write. "Others are interested in money or power, or in achieving some general social goal." In any case, they argue, it is these "conspiracy entrepreneurs" that need to be targeted, undermined, and, if necessary, silenced. There are more than a few problems here, already, from a libertarian perspective. But one of them especially stuck out to me at this point in Sunstein and Vermeule's argument. Aren't at least some so-called "conspiracy theories" the simple historical truth? "Aren't at least some so-called 'conspiracy theories' the simple historical truth?" Sunstein and Vermeule acknowledge that. They write that "some conspiracy theories, under our definition, have turned out to be true." But, they assert reassuringly, "our focus throughout is on false conspiracy theories, not true ones. Our ultimate goal is to explore how public officials might undermine such theories, and as a general rule, true accounts should not be undermined." "As a general rule, true accounts should not be undermined." But that's only as a general rule. There are probably some cases in which true accounts should be undermined. Like, maybe when they begin "inducing … widespread public skepticism about the government's assertions, or … dampening public mobilization and participation in government-led efforts, or both." Whenever they begin causing problems for the powers that be. Even if we do as Sunstein and Vermeule say they do, and "assume a well-motivated government that aims to eliminate conspiracy theories, or draw their poison, if and only if social welfare is improved by doing so," this is a troubling thought. You see, we don't know going in which conspiracy theories are true and which aren't. In many cases, we can't know; we simply don't have enough information. Ordinarily, we find out that a particular conspiracy theory is true because historians — whether the historians in a hurry whom we usually call journalists or the more painstaking historians who write books and teach at colleges and universities — have come along and combed over the ground and the documents and considered the testimony of all the witnesses they could find and reached the relevant conclusions. Whether a conspiracy theory is true is usually a matter for history to decide. Government officials are not, by and large, happy with this state of affairs, because history is the natural enemy of the state. Sustained reflection after the fact on exactly what the state did and why inevitably has the tendency to undermine any confidence one might have had in the state's good motives and desire to promote "social welfare." It tends, inevitably, to "induce widespread public skepticism about the government's assertions" and to "dampen public mobilization and participation in government-led efforts, or both." The state benefits from the shortage of information that the speed of events imposes on people. It can't avoid history entirely, of course — people will read and write about such stuff, no matter what the state says or does — but the state can do what it can to see to it that whatever history does get written tells the story the state wants told. the literatures of Greece and Rome comprise the longest and fullest continuous record available to us, of what the human mind has been busy about in practically every department of spiritual and social activity; every department, I think, except one — music. This record covers twenty-five hundred consecutive years of the human mind's operations in poetry, drama, law, agriculture, philosophy, architecture, natural history, philology, rhetoric, astronomy, politics, medicine, theology, geography, everything. Hence the mind that has attentively canvassed this record is not only a disciplined mind but an experienced mind; a mind that instinctively views any contemporary phenomenon from the vantage-point of an immensely long perspective attained through this profound and weighty experience of the human spirit's operations. Something similar can be said about studying the classics of the libertarian tradition, though the overwhelming majority of the works in that tradition are no more than a few hundred years old. Nonetheless, the mind that has attentively canvassed the record of libertarian and protolibertarian writing during those few hundred years will be equipped by that experience to view any contemporary phenomenon from the vantage point of a long and thoughtful perspective. The mind familiar with the classics of the libertarian tradition is the mind best prepared to comprehend any contemporary political development. In thinking about the Sunstein affair, for example, we would do well to reflect on what Murray Rothbard told us in one of the great libertarian classics to come from his pen: his great essay "The Anatomy of the State," first published in 1965 in Robert LeFevre's Rampart Journal. "The mind familiar with the classics of the libertarian tradition is the mind best prepared to comprehend any contemporary political development." the problem of the ruling group or "caste" is how to maintain their rule. While force is their modus operandi, their basic and long-run problem is ideological. For in order to continue in office, any government (not simply a "democratic" government) must have the support of the majority of its subjects. This support, it must be noted, need not be active enthusiasm; it may well be passive resignation as if to an inevitable law of nature. But support in the sense of acceptance of some sort it must be; else the minority of State rulers would eventually be outweighed by the active resistance of the majority of the public. Since predation must be supported out of the surplus of production, it is necessarily true that the class constituting the State — the full-time bureaucracy (and nobility) — must be a rather small minority in the land, although it may, of course, purchase allies among important groups in the population. Therefore, the chief task of the rulers is always to secure the active or resigned acceptance of the majority of the citizens. this … secures only a minority of eager supporters, and even the essential purchasing of support by subsidies and other grants of privilege still does not obtain the consent of the majority. For this essential acceptance, the majority must be persuaded by ideology that their government is good, wise and, at least, inevitable, and certainly better than other conceivable alternatives. Promoting this ideology among the people is the vital social task of the "intellectuals." For the masses of men do not create their own ideas, or indeed think through these ideas independently; they follow passively the ideas adopted and disseminated by the body of intellectuals. The intellectuals are, therefore, the "opinion-molders" in society. And since it is precisely a molding of opinion that the State most desperately needs, the basis for [the] age-old alliance between the State and the intellectuals becomes clear. One particularly "venerable" example of this alliance between the state and the intellectuals is the existence of what Rothbard calls "official or 'court' historian[s], dedicated to purveying the rulers' views of their own and their predecessors' actions." for the State to inculcate in its subjects an aversion to any "conspiracy theory of history"; for a search for "conspiracies" means a search for motives and an attribution of responsibility for historical misdeeds. If, however, any tyranny imposed by the State, or venality, or aggressive war, was caused not by the State rulers but by mysterious and arcane "social forces," or by the imperfect state of the world or, if in some way, everyone was responsible ("We Are All Murderers," proclaims one slogan), then there is no point to the people becoming indignant or rising up against such misdeeds. Furthermore, an attack on "conspiracy theories" means that the subjects will become more gullible in believing the "general welfare" reasons that are always put forth by the State for engaging in any of its despotic actions. A "conspiracy theory" can unsettle the system by causing the public to doubt the State's ideological propaganda. Now and then, of course, a state fails to take adequate precautions, fails to plan far enough in advance — fails to conspire effectively enough. This happened in the United States after World War I. The American state had its court historians in place. It had had them in place for several years already, but it failed to anticipate a revisionist movement that took hold in the 1920s among some of the most informed and articulate American historians, most notably Harry Elmer Barnes and Charles Beard. As Barnes recalled the events of those years thirty years later, in the early 1950s, "The readjustment of historical writing to historical facts relative to the background and causes of the first World War — what is popularly known in the historical craft as 'Revisionism' — was the most important development in historiography during the decade of the 1920s." In fact, Barnes wrote, "the revisionist controversy was the outstanding intellectual adventure in the historical field in the twentieth century down to Pearl Harbor." According to Barnes, "revisionism, when applied to the first World War, showed that the actual causes and merits of that conflict were very close to the reverse of the picture presented in the political propaganda and historical writings of the war decade." And by sometime in the 1930s, "those historians at all receptive to the facts admitted that Revisionism readily won out in the conflict with the previously accepted wartime lore." In fact, according to Barnes, "by 1928 … almost everyone except the die-hards and bitter-enders in the historical profession had come to accept Revisionism, and even the general public had begun to think straight in the premises." In fact, the revisionists won over so sizable a segment of the general public to its point of view on the war that the Roosevelt administration had to resort to desperate measures to win popular approval for its plans to enter World War II on the side of the Allies. But once that approval was won and the war was fought and over with, the American state turned out to have learned something from its intellectual adventures of the 1920s and '30s. As Barnes wrote in 1953, "Revisionism would … produce similar results with respect to the second World War if it were allowed to develop unimpeded. But a determined effort is being made to stifle or silence revelations which would establish the truth with regard to the causes and issues of the late world conflict." This "determined effort," according to Barnes, included systematic denial of access to official documents about the war. "There is a determined effort," he wrote, "to block those suspected of seeking the truth from having access to official documents, other than those which have become public property.… Many of these important sources are … completely sealed off from any historian who is suspected of desiring to ascertain the full and unbiased truth with respect to American foreign policy since 1933." Yet, Barnes argued, "if the complete official documents would support the generally accepted views with respect to the causes and issues of the war, there would seem to be no reasonable objection to allowing any reputable historian to have free and unimpeded access to such materials." "The state benefits from the shortage of information that the speed of events imposes on people." 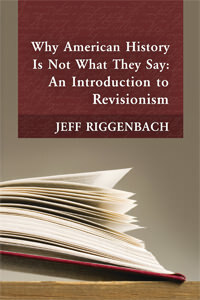 To learn more about revisionism, see my book Why American History Is Not What They Say: An Introduction to Revisionism, available as a free download in pdf format, or for sale as a paperback book, on this website. Cass Sunstein and Adrian Vermeule would beg to differ with Barnes, I'm sure, about making official documents available to revisionist historians. After all, revisionist accounts of the war — conspiracy theories about the US role in the war — might portray the federal government of the United States as a "morally repellent organization." Such theories might have such "pernicious effects" as "inducing widespread public skepticism about the government's assertions, or … dampening public mobilization and participation in government-led efforts, or both." Such theories might "undermine democratic debate; in extreme cases, they [might] create or fuel violence." What would Sunstein and Vermeule have the federal government do? Well, they write, "the most direct response to a dangerous conspiracy theory is censorship.… We could imagine circumstances in which a conspiracy theory became so pervasive, and so dangerous, that censorship would be thinkable. [However,] censorship of speech is notoriously difficult." It's good that it is so difficult. If it weren't, it might be resorted to more frequently by men like Cass Sunstein, Administrator of the White House Office of Information and Regulatory Affairs — men who don't seem to mind violating their fellow human beings' natural rights when such an important issue as public skepticism about the government is at stake. This article is transcribed from the Libertarian Tradition podcast episode "Conspiracy Theories, History, and the State."